Where the Fun Begins and the Learning Continues! GYMKIDS was created to help YOU with your children’s school day… while you work! 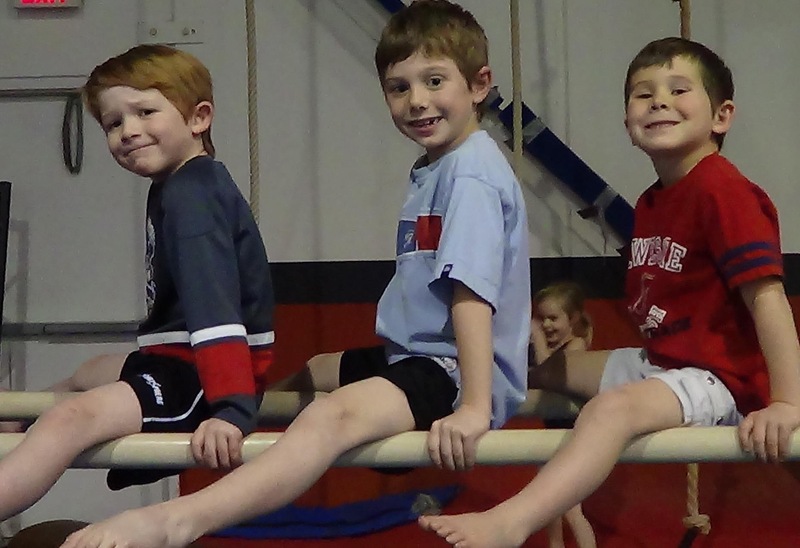 We will teach your children skills in gymnastics, trampoline, tumbling, fitness, conditioning and more! At the end of the day, when the bell rings, your child will be picked up from their school in one of our safe shuttle vans. Our friendly, experienced drivers, are hired for their personality and excellent driving record. No sitting or waiting on a bus! GYMKIDS are then transported to the gym, where caring staff greet the children and begin activities right away. If your child does not need transportation after school (and there is room in the program) you can drop them off at the gym from 4-6pm daily. They will be included in the best group for them and join in all the learning and fun! 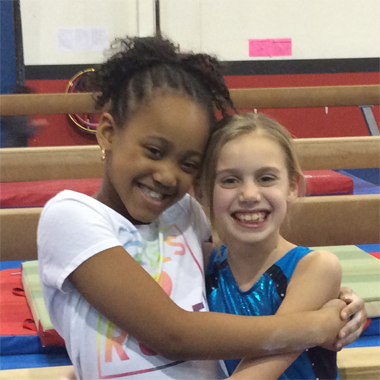 GYMKIDS is a full year program with or without transportation. If there is room in the program and you register after the start of the school year, we will gladly pro-rate the fees for you! If you want to switch from another afterschool program and need to pay a cancelation fee, simply provide proof and we will deduct this amount from your first monthly fee! Skills are taught using safe, logical progressions. Our curriculum revolves around lesson plans incorporated into all classes taught in the gym. 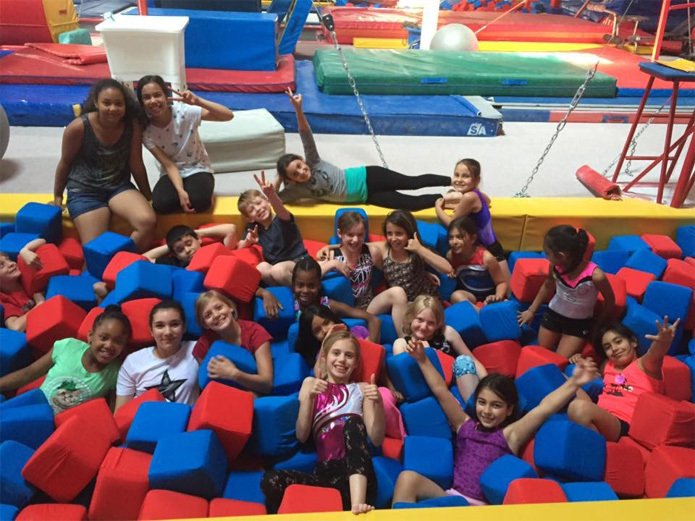 GYMKIDS are required to bring gym clothes and participate fully, every day. 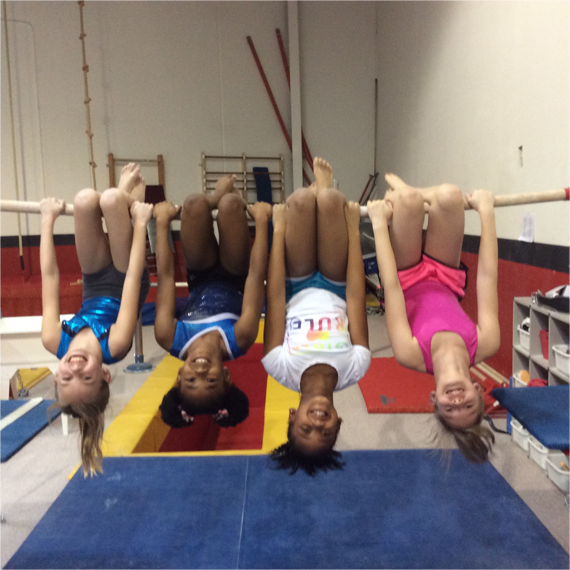 GYMKIDS will be evaluated 2x per season in gymnastics, trampoline and tumbling, based on the Canada wide CANGYM, CANJUMP and the All Star Tumbling Level Systems. Healthy, happy, tired kids at the end of the day!! !